Let it be said that, as of the summer of 2011, there is no greater home theater medium to watch high definition film and television content than Blu-ray. And yes, I'm especially serious about the television part. Anyone who has fired up 'Lost' or 'Breaking Bad' or 'Sons of Anarchy' in true 1080p HD with lossless or uncompressed sound knows the limitations of broadcast/satellite/cable television make for some pretty meager "HD." Blu-ray remains the King of Bandwidth and the holy grail of home entertainment quality. All of that aside, Blu-ray won't be king forever. Gone are the days where the masses would migrate from one format to the next (VHS to Laserdics to DVD to Blu-ray); we live in a world where platform and format are secondary to Content. And our HD content of the future, if we trust in Steve Jobs and this guy, will likely live in "The Cloud." Downloads and Streaming and VOD (Video On Demand) are, as you all know, already available, but, what's particularly frustrating is that one service doesn't simply provide everything. Each service listed below has strengths and weaknesses in terms of overall quality, content availability, and subjective-to-each-user value. As such, we here at High-Def Digest thought it might be time for a quick refresher course. Hopefully, it'll add some clarity to first timers or to those who are trying to figure out what's best for them. While none of these services approach the bandwidth capabilities of Blu-ray disc and are therefore lesser, more compressed forms of HD, I have broken down each service by maximum resolution available. My apologies if I've made any mistakes in these categories. Hit up the forums to let me know, and I'll fix it post haste. Enjoy! We begin our Streaming tour with a service that offers both 720p HD as well as its proprietary 1080p "HDX" service. Josh Zyber reviewed the service a couple years ago. You can read his review right here. Simply put, and from what I've seen, Vudu's HDX with 5.1 Dolby Digital Plus is the next best thing to Blu-ray. 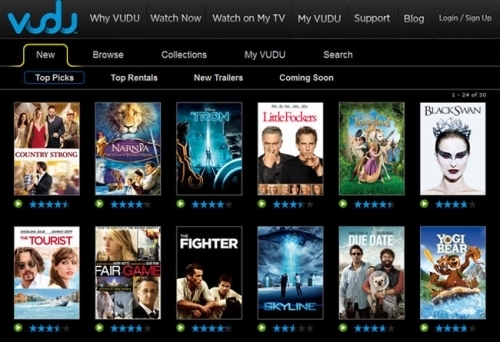 As for convenience, Vudu is available on many devices, including the Playstation 3, a number of Blu-ray players and HDTVs, and Boxxee. The user interface is simple to use, and movies generally release day-and-date with their Blu-ray counterparts. The two caveats here are pricing (it's $5.99 per new release HDX movie for a 24 hour rental) and bandwidth requirements (4.5Mbps or more for HDX). With my fast-as-they-sell-at-AT&T DSL, I just barely make the cut, but it's so, so worth it for those who appreciate quality. Next, we have our Satellite and Cable providers On Demand services. Unfortunately, I can't be hugely specific on pricing and picture/audio quality for every cable provider. What I will say is that movies here also often premier day-and-date with their Blu-ray counterparts. Pricing ranges from $3.99 to $7.99 per film. Expect to pay at least $4.99 for HD movies. Cable subscribers, you're generally in a better position to watch any of your movies instantly with no lag. I happen to be a DirecTV subscriber (which isn't always pleasant, but I have to have the NFL package, and the HD-DVR is much better than any cable DVR I have ever used). For us, it requires patching my HD-DVR into a broadband internet source, and when selecting a film, it will start downloading and eventually prompt you to watch it. I recently enjoyed the Magnet Films release of 'Troll Hunter' (which debuted day-and-date with its limited theatrical U.S. distribution) in 1080p and 5.1 Dolby Digital surround sound. 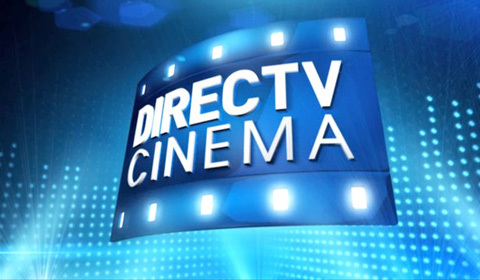 Compared to how "HD" cable channels like FX look on DirecTV, my DirecTV CINEMA rental was clear and generally artifact-free. It cost $7.99 (because the movie is still in theaters), but was well worth it at less than half of my wife and I actually going to the cinema. The best part about cable or satellite On Demand is there's not extra "set-top box" to purchase. If you have an HD-DVR, you're already ready to rock n' roll. 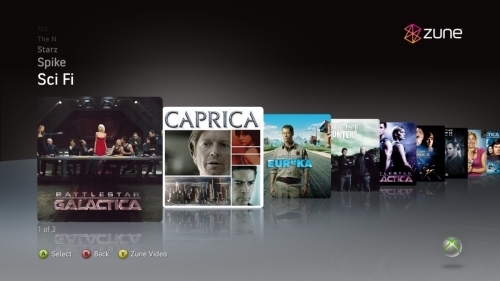 While the Zune service itself includes music and works on many different devices, Zune on Xbox 360's Xbox LIVE is a full freight 1080p / 5.1 surround sound service with brand new HD movies and TV series available to buy and/or rent. What's really cool about here is the recently introduced Kinect functionality. Meaning, you can control and search for content using voice and hand gesture commands. 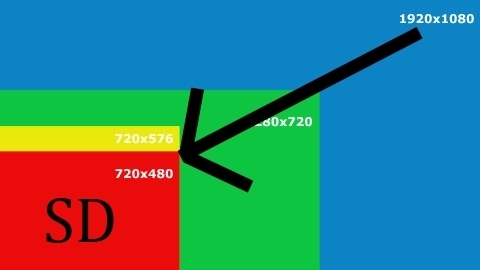 Just keep in mind that HD streaming will require a broadband connection capable of 4-7Mbps, and in addition to the $6 you'll be spending on the movie rentals, you also have to buy an Xbox LIVE Gold membership, which will run you about $50 for a year. Since I don't own an Xbox 360, I have no idea, personally, how good the Zune content looks and sounds. Hit up the forums to let me know. Movies are also available for purchase or rental on PS3s via the Playstation Network in full 1080p. Earlier this year, I rented the film 'Monsters' long before it came out on Blu-ray. The picture was sparkling, and because I had downloaded the whole film in advance, there was no lag or buffering time. 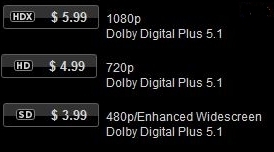 'Monsters' was another $7.99 rental (also still in cinemas), but HD movie content will generally run you around $4.99. The two big hurtles I find with the PS3 system: 1) two-channel audio only (it's been a while since I check, perhaps this has changed? ), and 2) super-slow downloading time. As I've said, I can handle running Vudu HDX streaming service, but it took my PS3 over 8 hours to download 'Monsters', which was so long, I almost wasn't in the mood to watch the film anymore. Maybe you've had a better experience than me, but for now, I don’t think this is the service for me. Netflix HD Streaming remains a subscription based service, with plans (in the US) starting at $7.99 for unlimited streaming. Toss in one or two Blu-rays out at time, and it'll cost you $11.99 or $17.99 per month, respectively. With each passing week, Netflix material is looking more like real "HD". At the same time, better content is being added; next year, for example, Netflix will start exclusive distribution David Fincher's 'House of Cards', a television series starring Kevin Spacey. However, quantity doesn't always mean quality or New for that matter; if you want a new release, you won't find it on Netflix (though this may be changing, or differ for independent distribution companies). They do have some new-ish titles, thanks to their Starz Network deal (most movies or TV shows on Starz can be found on Netflix Streaming), but the Starz movies are all in smudgy standard definition. And SD streaming on large HDTVs looks hideous. 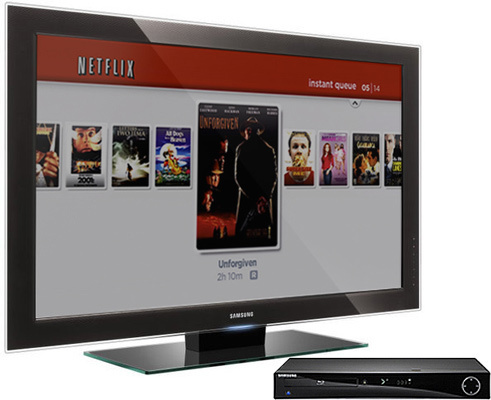 Netflix is available on many devices, including TVs, Blu-ray Players, Game Consoles, mobile phones and tablets, and PC and Macs. It should also be said that Netflix's 1080p streaming capabilities is, for now, limited to the Playstation 3, with other services capable of providing 1080i HD. Taking a step down into H.264 720p, there are two ways to enjoy "HD" content from the iTunes store. 1) you can buy or rent HD content directly from your PC or Mac (should it meet all of Apple's requirements), or 2) you can rent HD content on the Apple TV, which in its latest incarnation is a streaming-only device. 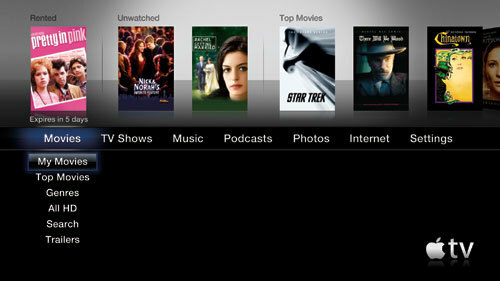 HD movies typically debut day-and-date on iTunes; and HD TV shows generally appear within 24 hours of their initial TV broadcast. HD movie purchases cost around $17.99-19.99 and come with 5.1 surround Sound; HD rentals are $4.99. HD television show seasons run from $32.99-$38.99(and up), while individual episodes will cost around $2.99. Mac/PC purchases and rentals sometimes include "iTunes Extras", along the lines of Blu-ray special features, but these don't appear to work with on newer Apple TVs. In terms of quality, I've only ever rented a few things to view on my laptop. Generally, the quality was good, but prone to macro-blocking. How have your experiences been? While Hulu Plus has some movies available, this subscription service is mostly known for its access to new TV shows, with content debuting the morning after a show's initial broadcast. At $7.99/month, you get access to HD content from Fox, ABC, NBC, Comedy Central, and a few others. Check here to see if you have a capable device. Like Netflix, you have the option to watch Hulu Plus from TV-enabled devices as well as mobile phones, tablets, gaming consoles, and of course, any computer. Much like iTunes, my Hulu experience is limited to the computer environment, but all available content here is in 720p and, if I'm not mistaken, stereo sound. Want to stick it to your cable or satellite provider, Baseball Fans? Here's what I just realized. The MLB Extra Innings package costs around $200/season from the DirecTVs and TimeWarnerCables of the world. Granted, this is 1080i with 5.1 surround sound, but for half that price -- $99.99 for a year -- you can get MLB.tv Premium (available on these devices), which allows you to not only watch any baseball game in 720p HD on your TV, but also on any Mac or PC. I haven't gotten a chance to check this out personally on my PS3, but the reviews have been so enthusiastic, I may have to consider how necessary 5.1 really is to my baseball watching. I say to those of us who can, let's call our cable networks and tell them we'll only pay $100 to watch or baseball! Agitation aside, MLB.tv is also available for $19.99-$24.99/month, or for $79.99/year for the non-Premium version of the service. HD playback requires your broadband network to be running 3Mbps or more. 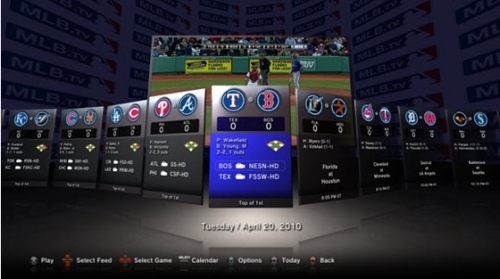 Have any of you used MLB.tv on the PS3 or any other device? Hit the forums and let me know how it is. It's my understanding, however, that when you're actually using Amazon Instant Video from a set-top device like a TiVo, it's quite easy to see which titles are available in HD. Other services I was excited to talk about include Best Buy's CinemaNow (available devices listed here), Blockbuster OnDemand, Sony's Crackle (available on these devices) and even YouTube. They all stream movies from around $3.00 (actually, Crackle content is ad-supported / free), but alas, I was unable to find any HD movies available. If I've missed something, if these companies offer HD, be sure to hit up the forums, and I'll be happy to adjust. There we have it. The current state of the HD Streaming Union. It's a giant mess of options out there, with strengths of quality verses available content verses pricing all vying to grab our attentions. The good news is that so many of our modern home theater gadgets come with multiple versions of these services built-in, so you can pick and choose as needed. Now it's your turn, if you wish. What's your favorite streaming service? What would make it better? Also, please let me know if I've missed a service you love; I'll be happy to add it.